Welcome to Kasra Persian Rugs Company, the proud importer of genuine handmade Persian and Oriental rugs. We specialize in exquisite handmade wool and silk rugs of all types and sizes. We have a proud heritage in providing design and on-site consultations to help you choose the right rug for your home, as well as offering rug repair and restoration services. Our skilled weavers can restore damaged rugs to their original condition through re-weaving, re-fringing, binding and more. For details and quotations, please contact us. We have a proud heritage in carpet repairs and restoration. 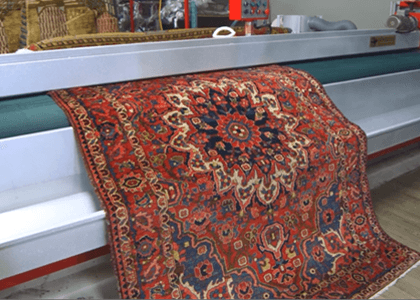 Our skilled weavers can restore damaged rugs to their original condition through re-weaving, re-fringing, binding and more. For details and quotations, please contact us. At Kasra Persian Rugs we employ certified appraisers to give you the most accurate value of your Persian or Oriental rug. 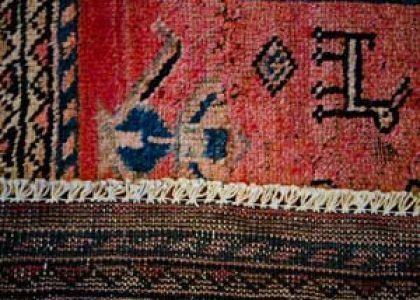 Bring in your rugs to our showroom and warehouse in Richmond Hill, or simply send us a photo, and one of our experienced appraisers will make an assessment. We have a solid reputation for offering the best cleaning service for fine rugs and carpets. 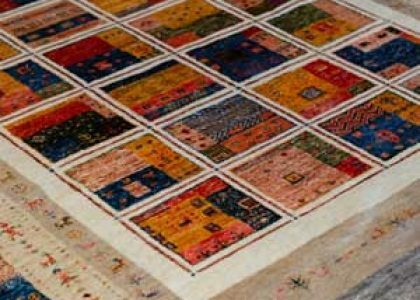 We accommodate rugs of any type and size - any repairs, stains or other problems can be discussed directly with our technicians. We also arrange pick-up and delivery services. Our in-house team are ready to answer any questions you may have about our collections, prices and services. We want to make sure you have all the info you need before making a decision. Contact us here. We pride ourselves on having the biggest selection of quality rugs at the best price. If you see a similar piece at another store, we will do our best to not only match that price, but to beat it. Make an appointment to visit our showroom and meet our team to find out more.